Acne is not only a frustrating part of being a teen, it can cause distress long into adulthood too. And even after it’s cleared up, sufferers can be left with unattractive scarring. 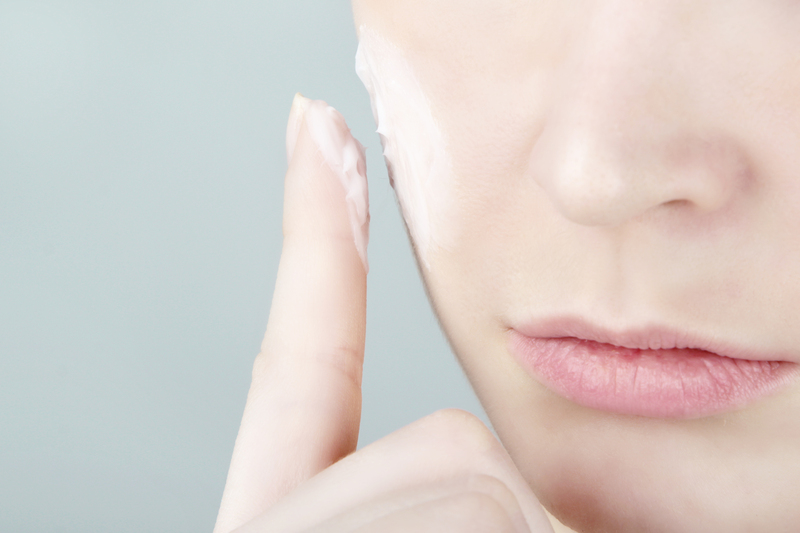 In part 2, our experts reveal the various ways to treat acne scarring. The emotional and physical effects of acne can continue long after the blemishes have gone. Breakouts may have cleared, but they can leave behind permanent reminders in the form of scarring. Just as with acne itself, there are ways to combat the scarring and achieve the smooth skin you’ve been dreaming of. And you’ll be glad to hear that the older, less effective treatments like dermabrasion and chemical peels have been superseded by modern alternatives. These newer methods are not only more successful in achieving smoother skin, they also have faster recovery times. 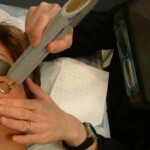 One of the newest and most effective forms of treatment is fractional laser. It works by stimulating the skin to produce more new collagen, essentially smoothing itself. It uses tiny laser beams to create thousands of microscopic channels into the skin. They go deep enough to stimulate the production of collagen, smoothing out scars and other irregularities, while keeping the surrounding tissue intact. 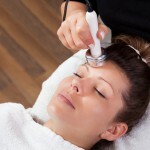 The best thing about this treatment is that it’s quick, comfortable and the healing time is incredibly fast. With minimal downtime, most patients can return to work and even apply make-up within just a couple of days. Dermal fillers are injectable gels that are used to restore volume and treat scarring or wrinkles in the face. Injected under the skin’s surface, the fillers are best used for atrophic (sunken/hollow), dishpan-like acne scars and those that are easily stretched out – something your dermatologist can advise on. There is a huge variety of fillers available, including collagen, hyaluronic acid, poly-L-lactic acid, implants and fat transfer. Various types are formulated for different parts of the face, such as the cheek, under the eyes, template, chin and nose. Because the procedure is non-surgical, there’s less downtime after treatment and the results can be long lasting, though not permanent. Patients tend to see results immediately after injection. In addition, the localised trauma from the filler also can stimulate collagen production. Subcision involves inserting a needle deep into the acne scar to dissect the fibrous tissue. This acts to release the scar and help it rise to the surface. Like laser treatment, the procedure also stimulates new collagen to form, pushing the scar even closer to the surface and smoothing the skin’s appearance. Subcision is usually used along with dermal fillers and fractional laser to treat deeper scars. More commonly referred to as steroid injections, cortisone or cyst injections, intralesional corticosteroids have been used to treat raised (keloid or hypertrophic) scars since the mid ‘60s. The procedure involves the injection of a steroid solution into the skin, which reduces and flattens the scar. The treatment is rapid and several courses of injection can get great results. Immediately after treatment, there may be slight swelling around the injection but this usually dissipates quickly. Remember, there are various types of acne scars and each can be treated with different methods. Acne scarring is a field of expertise in itself, so for the best results, the key is to find a specialist who has experience and training in all methods of acne scar treatment. Every case of acne scarring is assessed individually so you can be sure you have a treatment plan tailored specifically to your skin. The medical information of this website is provided as a reference only. It is not intended to be used or relied upon for any diagnostic or treatment purposes. If you are suffering from any skin conditions, please consult medical advice or arrange an appointment with one of our Sydney Dermatology Group specialists. If you are displaying symptoms or would like to know more, book a consultation with one of our dermatology specialists to receive personal treatment. To book an appointment, simply fill out the form below or call the Sydney Dermatology Group on (02) 8223 1888. Rosacea: What causes it? And how does it develop? Get The Facts: What Is Acne And How Is It Caused? Get The Facts: What Is Laser Hair Removal? Fill out the form and one of our friendly representatives will be in touch to help you arrange an appointment. Please fill in the Patient Registration form before your visit.